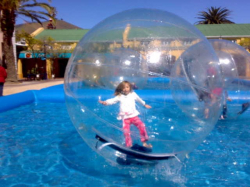 If your looking to add extra fun to any event, this will entertain those of all ages. 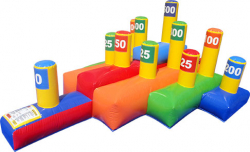 Choose our custom six sided lighted foam pit or have the party in your pool or in your own custom space. 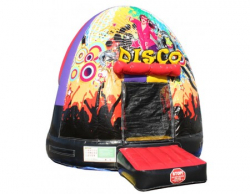 Hourly rate includes our neon lighted six sided custom foam pit and matching lighted speaker system w/ included microphone and bluetooth operation for jams while the foam keeps pumping along with the music. A safety attendant is included to oversee foam party operation. 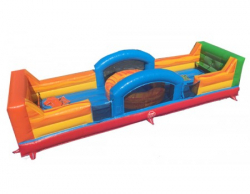 Test everyone’s stamina and agility with the Inflatable Wrecking Ball Game. This extreme challenge is created specifically to test the participants’ stamina and quickness. As the contestants start playing, have one person stand in the middle and up to four people stand around the unit to swing the wrecking balls at the participant in the middle. This means that the participant in the middle will have to duck and dodge to avoid the wrecking balls, while standing tall. The contestant who manages to stay standing the longest will be the winner. This absolutely fun activity comes with protective helmets for safety. Unit is Due in stock 9/8-9/10/18. Stands 4 feet tall and draws a crowd once a game starts being played. To win you or your team must be the first to get 4 of your colored pucks in a row either horizontally, vertically, or diagonally. 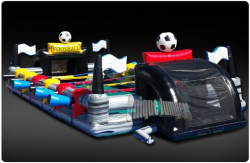 The Giant Connect 4 Game Rental is perfect for team building, group events, family gatherings company parties and backyard parties. New Twist to a old favorite interactive game. 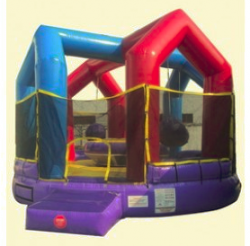 Standing over 9′ Wide and 5′ Tall will add color and fun to any event. 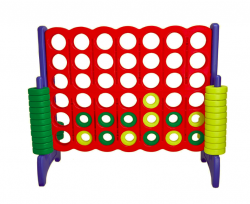 Kids and Adults of all ages will enjoy the fun and ease of playing this game. 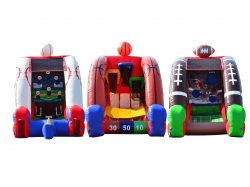 Baseball, Football & Basketball Sports Inflatable. Units can be attached together in a line with one blower OR separated individually to use as three solo interactive sports games each with a blower. 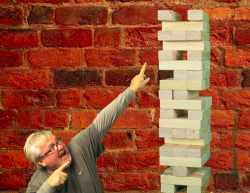 Things just got supersized with our Giant Jenga Tumbling Tower Game Rental that will keep your guests in suspense as the watch each other compete on who will make the tower come crumbling down. This Giant Jenga Tumbling Tower Game Rental is one of the easiest games to play and is age appropriate for almost any age ( 4-99). 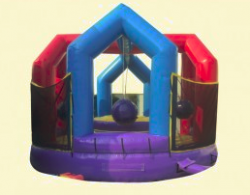 Joust Arena w/ Pedestals, Padded Joust Poles, Protective Head Gear and Inflated Area. 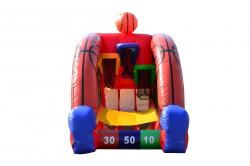 Pedestals can be removed for Basketball Arena since built in Hoops and unit can be converted into a gigantic 18′ X 22′ Bounce Area. 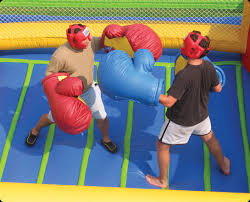 Add Oversized Boxing Gloves and Twister Matt for just $98. 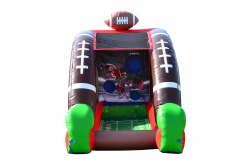 Rock this fun sport which is gaining increasing notoriety for school functions, family outings, team building, or just kicking back with some friends after work. Guaranteed FUN! Oversized Boxing at its Finest inside a HUGE Inflated ring. Includes Oversized Gloves & Protective Headgear. 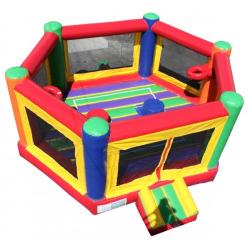 Can be used as boxing ring bouncer also. Hippo Chow Down is the latest interactive game guaranteed to keep your participants and spectators laughing for hours. This is the latest 2-player bungee tug-o-war style game that involves speed, strength and agility. Object of the game: Once the referee blows the whistle, each of the players starts from their back wall and races to the pond of balls in the center of the game to retrieve as many balls as possible and return them to the wall at their starting wall. Once all of the balls are chow’d down, the player with the most balls on their wall is the winner. Players hit balls that are floating in mid air at 6 targets to accumulate points for making it to each target. 3 balls and bat included. 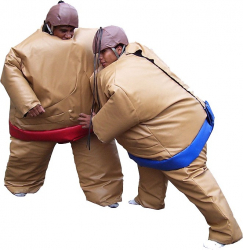 Super FUN sumo wrestling at its finest. Enjoy the battle as you wrestle for victory. Players shoot basketballs at three different point level hoops to score points as they play. 3 basketballs included. Climb all day without an hourly charge. Fully inflated landing area for safety if you need to fall to try again. 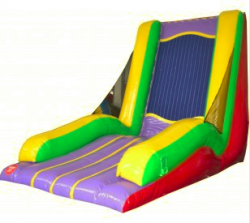 The Velcro Wall is easily the center of attention at any birthday party, barbecue, graduation, or any other special event. 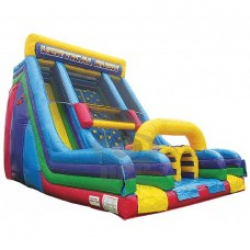 This inflatable is the perfect addition to any bouncy house rental. All partygoers need to do is get a running start, get a little bit of air, and they’re instantly stuck to the wall like a fly in mid air! Unit is Due in stock 9/8-9/10/18. Players throw footballs to advance number of yards desired, first to 100 yards wins. 3 Footballs included. 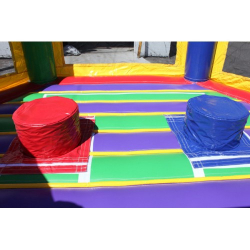 One unit, 5 games: Boxing Ring w/ Oversized Gloves & Headgear, Large Joust Arena w/ Pedestals & Joust Poles, Double Basketball Hoops, Twister, and Gigantic Bouncer. 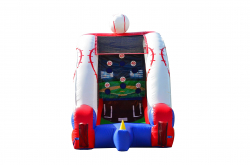 Test your contestants balancing skills and let them have fun trying to knock each other down w/ jousting poles inside this inflated arena. Protective headgear included for safety. Also available as wrecking ball arena w/ gigantic wrecking balls suspended to aid in knocking contestants off balance, see selection for this game. Unit is Due in stock 9/8-9/10/18. One of the newest games to be released. Velcro soccer balls are used to kick and aim for the 16′ High and round target. 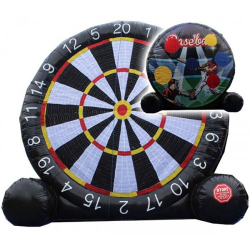 Choose traditional dartboard or use both sides and grab a game of velcro soccer / baseball. This unit is in transit from manufacturer, we will notify after booking if issues meeting event. 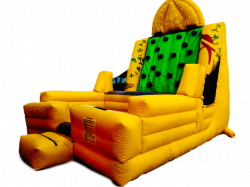 Take a ride on our mechanical bull, made of real cowhide! 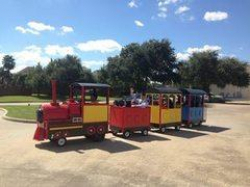 This exciting device will kick up the FUN at your event in true Katy style! Have contests with your friends or take on the big tough flying bull yourself by seeing how long you can stay on. Super clean and attractive, guaranteed to turn heads and delight all ages. Quiet, electric and ready for indoor or outdoor use.